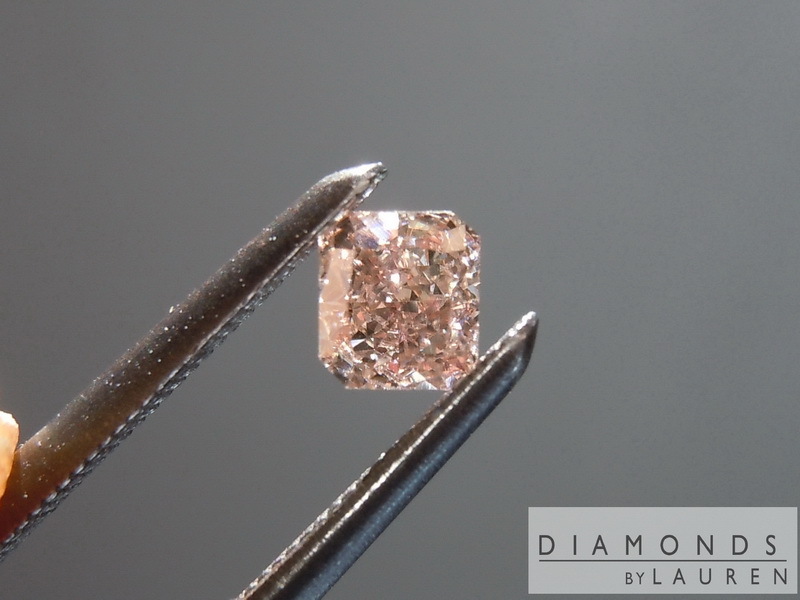 Here is a really cool radiant cut diamond. Although the size is small, it packs a nice punch. 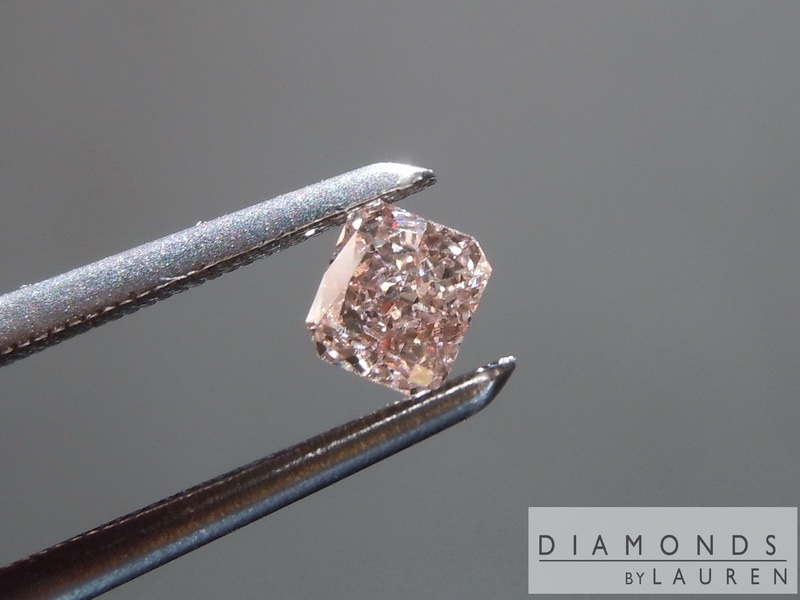 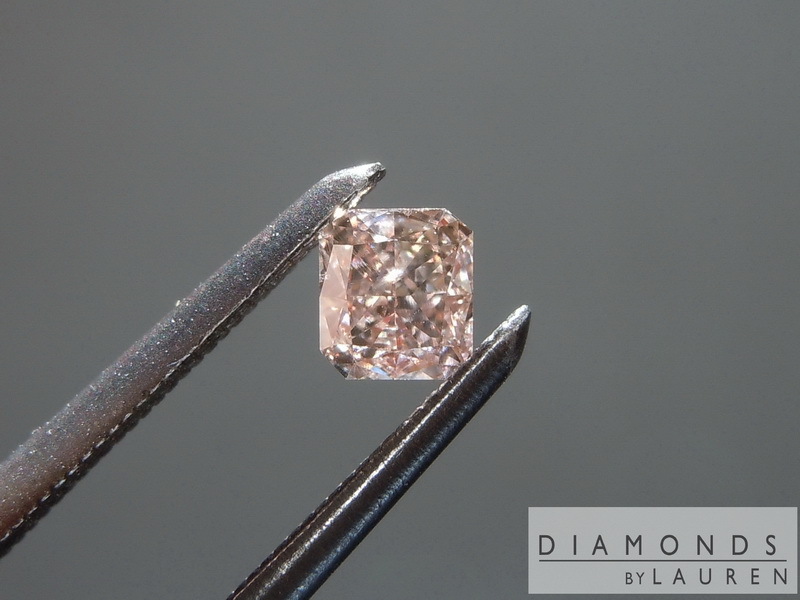 As you can see, the pink is quite noticeable in this diamond. 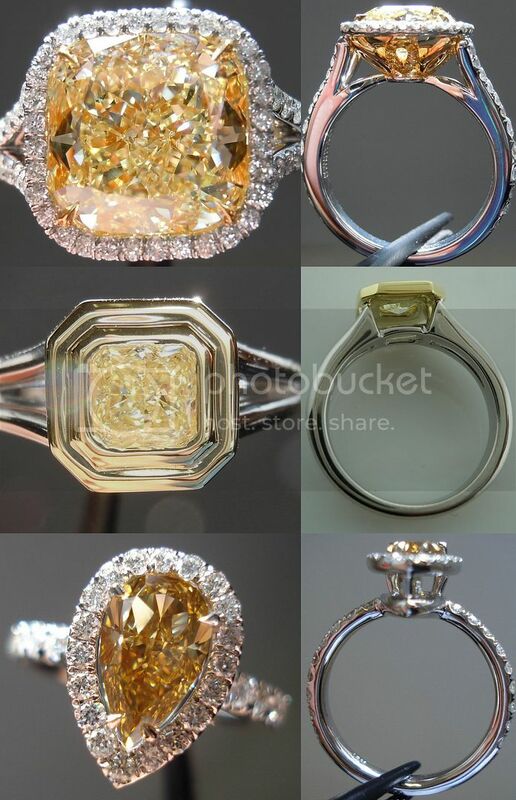 The fact that there is brown makes it much less expensive than a pure pink. 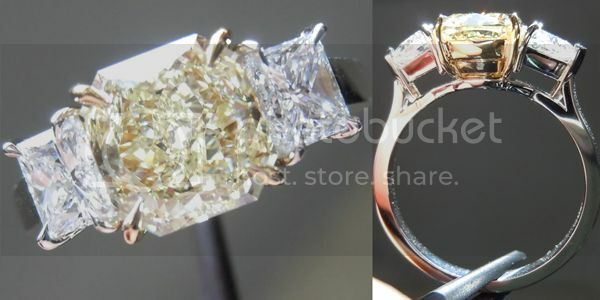 It has a wonderful cut too – the stone looks large for its weight. 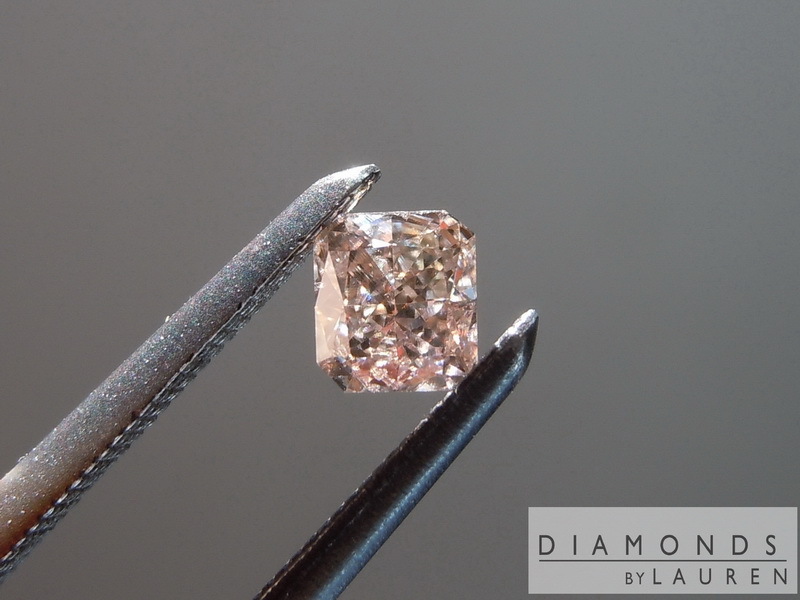 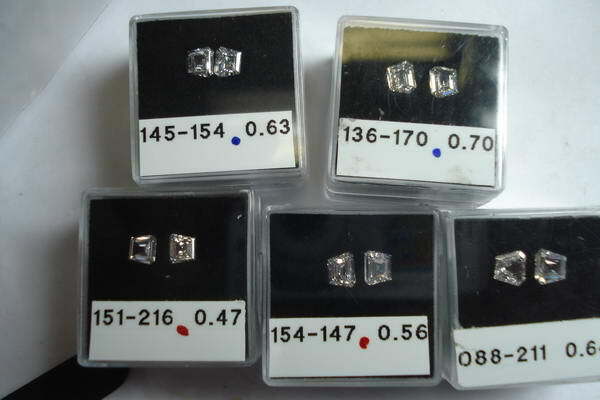 It is an eye clean SI1 diamond. 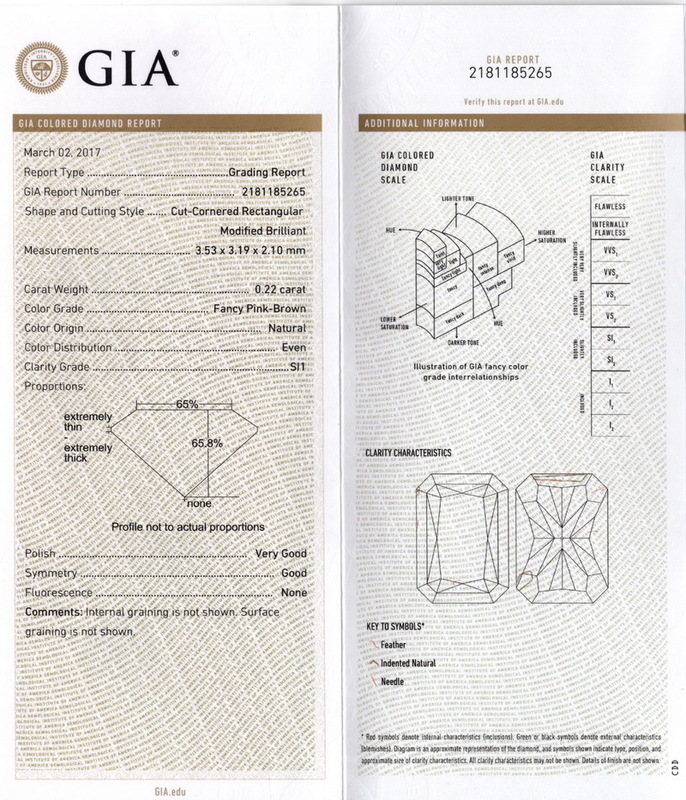 The diamond comes with a full GIA report.